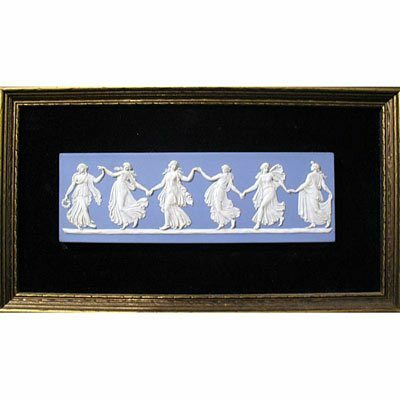 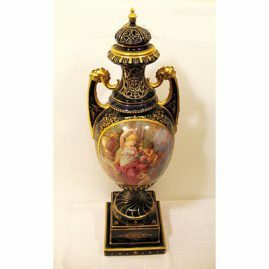 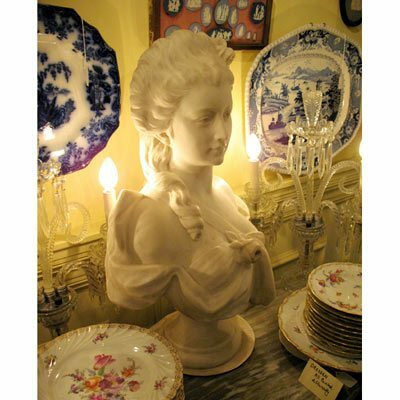 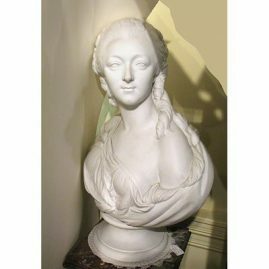 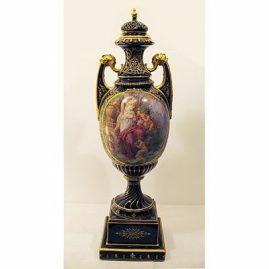 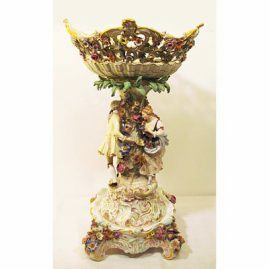 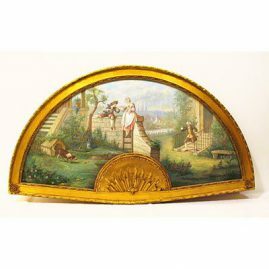 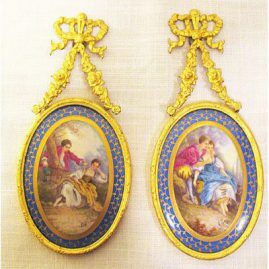 Go to Decorative Page 2 , Decorative Page 3 and Decorative Page 4 to see more decorative accessories. 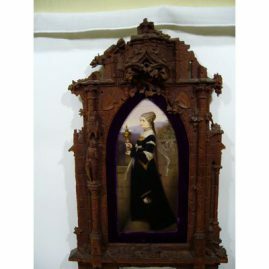 Please click on any of the images below to see a larger image and a description of the item. 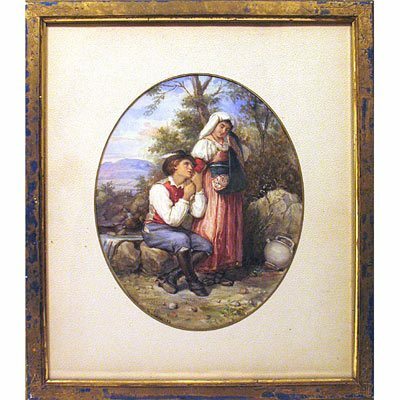 Gouache & watercolor, Courtship in the Garden, signed A. Siginf, framed-13″ by 23′, without frame-11″ by 21″, Sold. 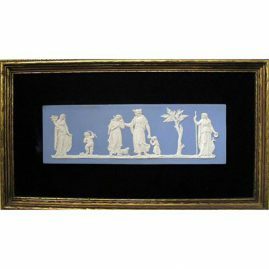 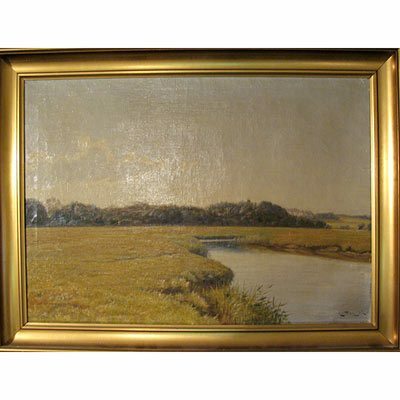 Hutchenreuther porcelain plaque of Echo artist signed Wagner, ca-1890s-1900,without frame: 7″ by 4 3/4″, with frame: 14″ by 16″, Sold. 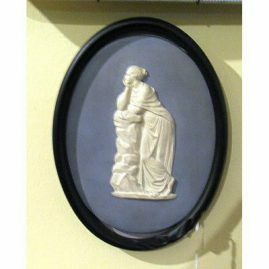 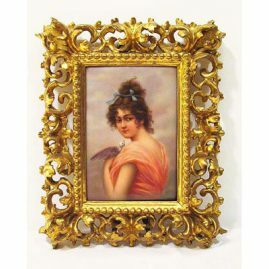 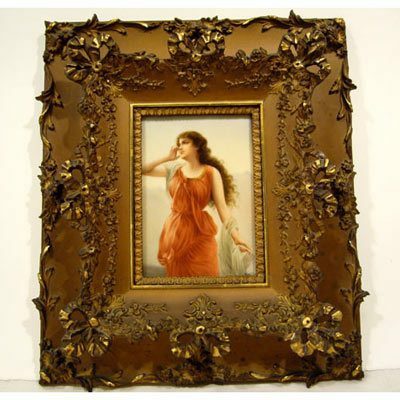 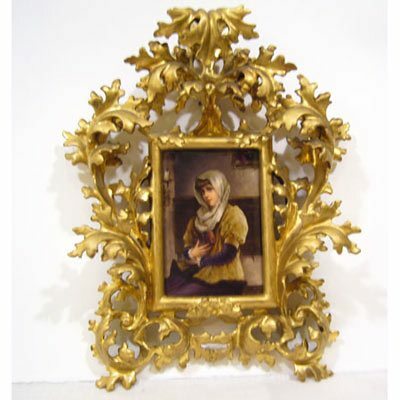 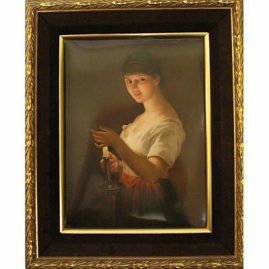 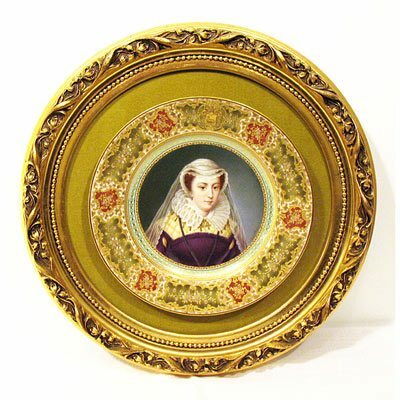 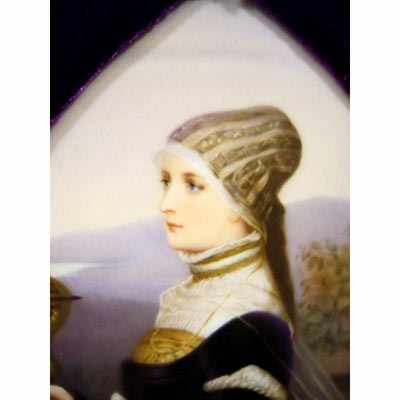 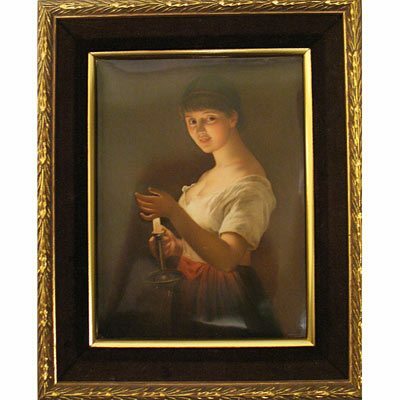 Porcelain plaque of lovely lady with book in Venetian frame, without frame: 3 3/4″ by 5 1/2″, with frame,,14″ by 10″, Sold. 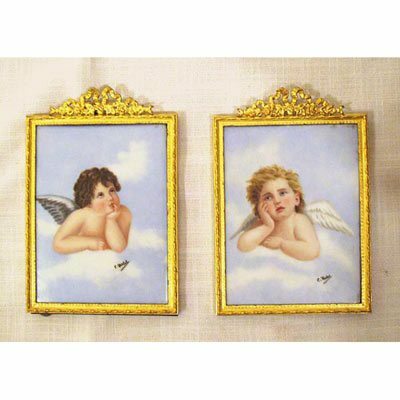 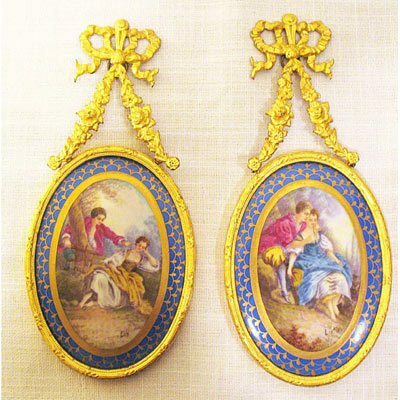 Pair of French hand painted porcelain plaques of lovers, artist signed, ca-1900, without the frame-4 1/2″ by 3 1/2″, Sold. 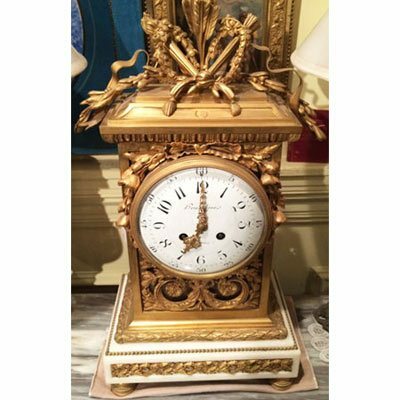 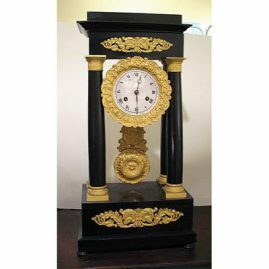 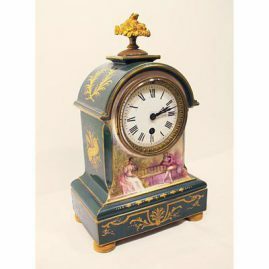 Fabulous French Bronze and marble clock with Marti works signed Boudebine, France. Height-22 inches tall, 11 inches wide and 13 1/2 inches wide on top. Working order. Circa 1880s-1890s. Sold.